Everyone wants to have a summer glow. 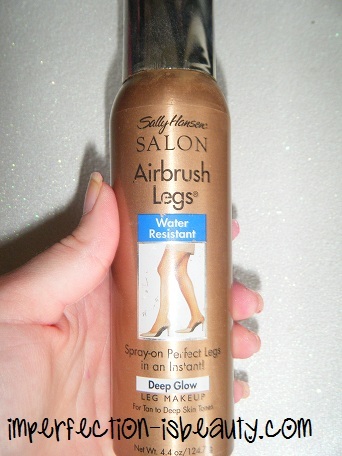 I am totally loving this Sally Hansen Airbrush Legs. It really makes your skin look flawless, and best of all its water resistant. I sometimes put this on my arms and chest area depending on the occasion. It really gives a nice even glow to your skin. It is a bit messy, that's really the only down fall on this product. It even covers up tattoos very well! Definitely my fav summer necessity. Thanks for sharing this, I've been wanting to something like this, I'm defiantly going to pick up one! Yayy let me know what you think! !